Anime Limited are delighted to announce that we will be bringing the film Napping Princess, aka “Hirune Hime: Shiranai Watashi no Monogatari“, to cinemas in the UK & Ireland in summer 2017! 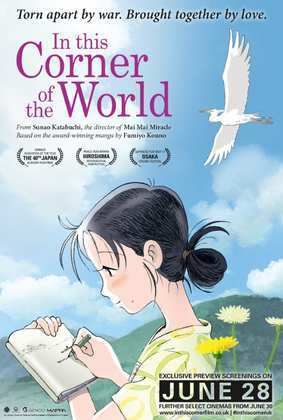 Some great news there about anime in British cinema, but the hype quickly dies down as I recall the anime reviews that have been posted this last week. On the bright side, this does look to be the nadir, and things might be perking up with the reviews incoming this week. But first we have to deal with shows like Dog & Scissors, the kind of shows that I watch so that you don’t have to. A bookworm dies during a cafe stick-up gone wrong, and is re-incarnated as his favourite author’s pet dog. The only trouble is that she’s a sadist, and she wants to dissect her puppy with a pair of scissors. There is one other thing. She’s got writer’s block, and if our canine hero wants to read the next instalment of his favourite novel series, he’ll have to get her out of her slump. Would you believe that this show is actually worse than it sounds? Click the review to find out. 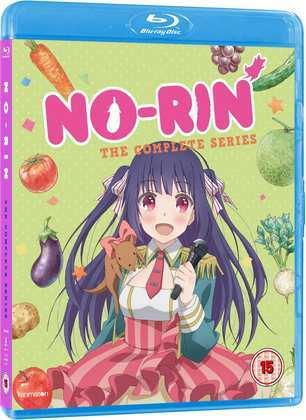 Next up it was No-Rin, a show about a pop-idol who quits showbiz to attend an agricultural school, after an obsessive fan sent her tasty produce that he grew there. Actually it’s not so much about the pop idol as it is about the obsessive fan. Actually, I’m really not so sure what No-Rin is all about. It’s saucy comedy antics set amongst fields and fertiliser with a cast of over the top characters, but all I can say is that if you were hoping for something akin to Silver Spoon, you’ll be sorely let down. My suffering continued with Brothers Conflict. A teenage girl’s father remarries, and she suddenly finds herself living with thirteen brothers, all of whom fall in love with her. That’s where I should have switched off, pulled out the shotgun and gone clay pigeon shooting with the discs. But no, I actually sat through all the episodes to learn that Brothers Conflict isn’t as prurient as that. It’s far too bland. Bleach The Movie 4: Hell Verse. If this past week hasn’t sworn me off anime, nothing will. You might think that Bleach The Movie 4 would have been a bright spot in amongst the clouds of mediocrity. Certainly when I reviewed it, I lauded it for its economy of script, the way that it distilled Bleach’s shonen precepts into a perfectly formed, 90-minute action movie, with no fat, no dead-weight whatsoever. It gave you a story, characters to get invested in, and it was done and dusted by the end credits. Ichigo Kurosaki goes to Hell to rescue his sister from a group of the damned that want to escape purgatory using Ichigo’s Soul Reaper abilities, only their plan threatens the whole world by tipping the balance. But I also wrote that “It’s a Bleach movie purely for the Bleach fan”. I merely re-affirmed last week that I am not a fan of Bleach, when I fell asleep during this film’s really good bit! 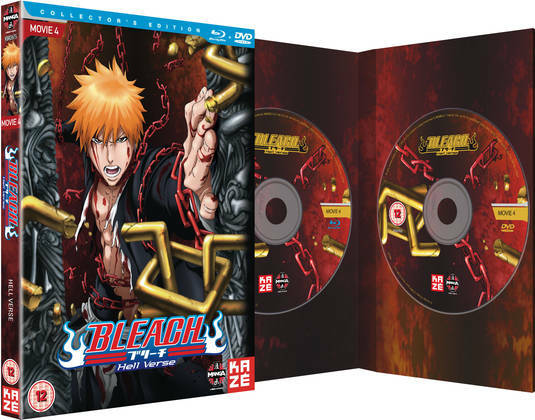 Kazé Entertainment released Bleach the Movie 4: Hellverse on DVD and on Blu-ray back in 2013, and it is already out of print. Here's my far more positive review. You’re going to have to look at second hand listings for the movie, or import it. 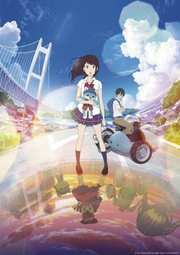 Funimation released No-Rin on Blu-ray on February 27th. 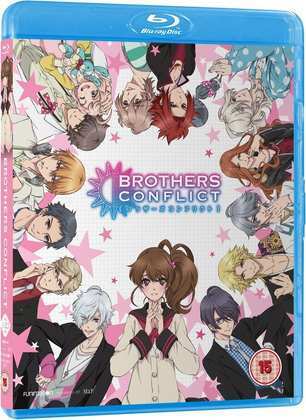 They also released Brothers Conflict on Blu-ray on March 6th. 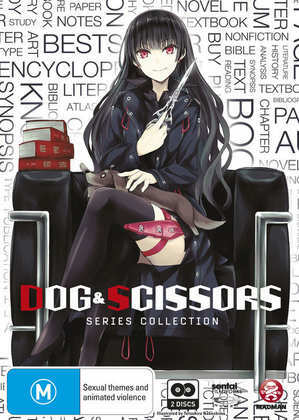 I imported Dog & Scissors from Australia, where Madman Entertainment released it on DVD back in 2015.